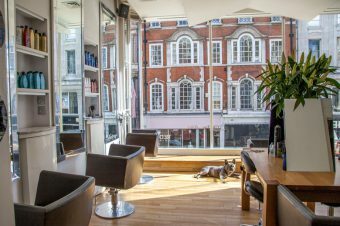 Tucked away in the city’s slickest department store is one seriously cool set up, but would it meet the salon standards of Layered reader and new northern resident Carly Hobbs? Carly, your hair looks amazing. Tell all about where you went and what you had done. Thanks so much, I love it! 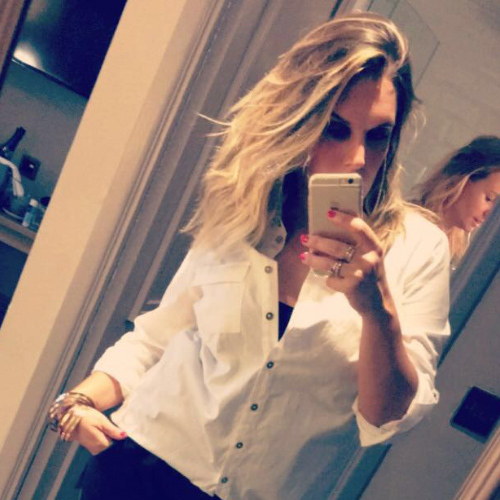 I was so worried about going shorter and blonder – I’ve had long dark hair for over five years – but as soon as I was settled into the huge comfy, leather chairs at the Peter Marcus salon in Selfridges it was clear I was in good hands. 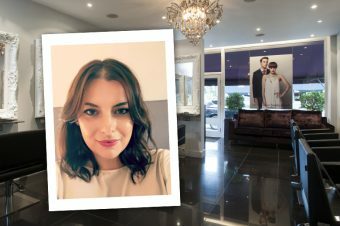 Top stylist, colourist and true Italian gent Andrea Gilles, was honest about what would work for me and together we decided on bright blonde and blended honey tones done by balayage, and a textured midi bob, Kendal Jenner style. I have to admit, after ten years living and getting my tresses tended to in London, I was worried about my look being a bit northern – bolder and brighter than I’m used to. However, I got that cool capital editorial cut and colour with the added friendliness and laid back attitude that is so rightly associated with The North. Love. Sounds dreamy. Tell us more. Andrea explained that thanks to my long face shape, a long bob with lots of texture would work better over any kind of old school layers or a blunt, one-length finish. He section off my hair to show me what it would look like, letting me get a gist for it in the mirror. 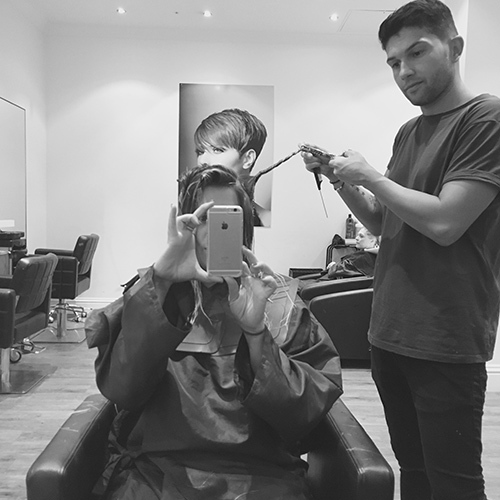 I gave him the nod and he whipped off most of my locks, about six inches – meep – ready for colouring. Back in the 90s I had terrifyingly chunky Spice Girls-esque highlights, they looked awful, however Andrea created the absolute opposite for me. Using key balayage skills, backcombing fine sections of my hair before painting on the bleach, he managed to make my locks look like I had been hanging out in California all summer. At the sink he worked a toner through the newly lighter strands to stop them from looking brassy too. Cut-wise he snipped away at the ends, twisting two inch wide sections of hair before cutting into them to ensure they look suitably textured rather than messy or chunky. Even before he blow dried it, my new locks were looking far cooler than I’d imagined, and post blow out, with added tonged in curls, I loved them even more. All this inside a super cool store? 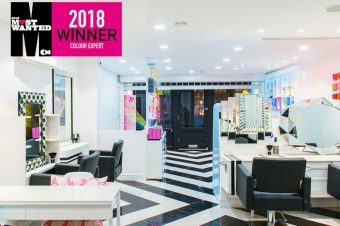 Why should you book an appointment here? The Peter Marcus Selfridges store is tucked away on the make-up and hair floor of this slick, city centre store. You get the buzz of the beautifying department – think Drake tunes, product chat and hum of happy shoppers – but non of the hassle the gloss white studio is very much self-contained. It’s a best of both worlds as you are in a tress haven, the only downside is it’s all too tempting to wander past all the counters, and the handbag section, on the way out. You might pick up a new Stella clutch to go with your new hair, just saying! Whoops. Anything else we should know? If you are worried about not being able to resist the designer bags and rows of lipsticks or being inside a shop, Peter Marcus has amazing salons in nearby Peter Street as well as in the village-type Manchester set up that is Didsbury – handy for cake and coffee in cute cafes near by, post salon session FYI. So there is an option for everyone. You better get in quick though as I have been recommending this lock emporium to ALL my northern friends. Fancy giving Peter Marcus, Selfridges, Manchester a go? Book online or call 0161 838 0513. A cut and blow dry is £46 and colour work such as ombre and balayage is priced on consultation.